Magnolia Manor, 1654 Springhill Ave., is an Italiante townhouse begun in 1854 and finished in 1862 by Jebez Fellows, a merchant, who owned a clothing store on Water Street. In 1933, the 15 room house was purchased by Dr. Toxey and Maurine Haas. 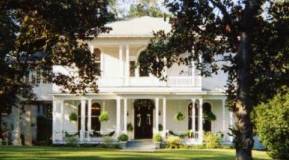 Magnolia Manor is now available for rental for social functions.